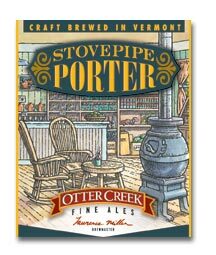 The Stovepipe pours a dark black color with a small, fizzy head. Aroma is of burnt malts, as well as caramel, coal, chocolate, and coffee. Initial taste is lightly sweet, finishing bitter. Light to medium on the palate with a watery/oily consistency. Soft carbonation. Wood doesn't really care about this one.